Deception used to be considered evil. But not any longer—not when those who are called to live like Christ now openly justify and defend anti-Christian character behavior. When the church follows the leadership of the culture, and sacrifices historical biblical truths on the altars of relativism and trendiness, it becomes a twenty-first century version of Esau, a man who valued his current times over an eternal reward. Ignorance of biblical history—or in some cases historical amnesia—has left the church ever-vulnerable to the changing current of modern culture. When the church divorce itself from the past, it become blind in the present. When God’s people forgot their history, then apathy, anarchy, apostasy and abandonment soon follow. The problem of deception and bowing to the culture goes all the way back to the Garden of Eden, where Adam and Eve became the Serpent’s first victims. Spiritual deception moved them away from a God-centered worldview to a human-centered one. Self became their focus. Opinions and feelings had become their new “truth.” Adam and Eve began to see circumstances, themselves, and life in general from Satan’s point of view, and God’s authority was no longer the centerpiece of their lives. Across all denominations, spiritual deception within the church has intensified. 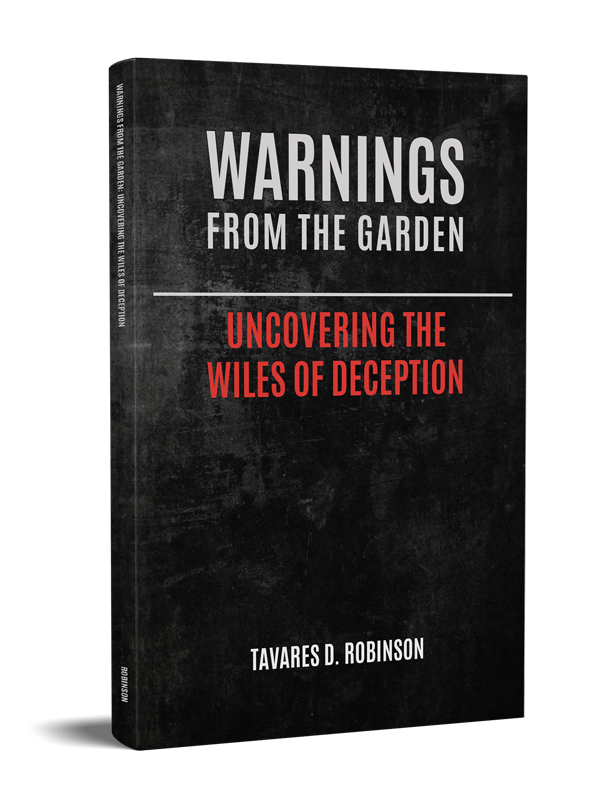 Warnings from the Garden: Uncovering the Wiles of Deception addresses the many land mines our Adversary has planted among us. This book will help readers uncover errors and recover a passion for historical biblical truths, producing a true conforming to Christ.